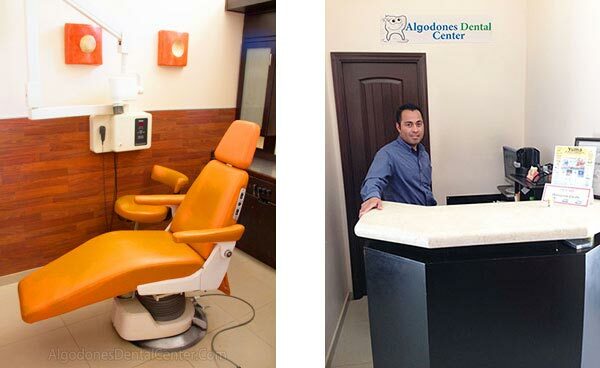 Welcome to Algodones Dental Center. 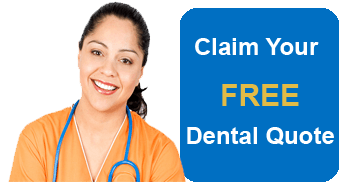 We offer top-notch dental work in Mexico right across Yuma, AZ. Our affordable packages for dental implants, bridges and crowns, veneers, smile makeovers, bleaching and myriad other dental treatments at one of the Mexican border town’s top dental clinics assure you cost-savings along with quality care. Prime American Dental Association-member clinic of Los Algodones which is only a few miles from Yuma, Arizona. A hit with dental tourists from the US and Canada, it is the only facility in the region to hold the esteemed “International Patient Services Certification” presented by the Medical Tourism Association. Superior quality care by highly experienced dental specialists with impressive credentials and global exposure. The use of the latest technology, such as panoramic dental x-rays, laser technology, KaVo Everest CAD/CAM and sterilization equipment ensures dental treatment par excellence. The clinic has a dental engineering lab where it fabricates its own dental plates, dentures, partials, pure porcelain crowns, porcelain fused to metal (PFM) crowns, and other dental prosthetics. As the dentist and the lab technician are at the same place, the most apt way to treat you can be determined promptly. The border town is just about 9 miles from Yuma, Arizona. With the clinic not more than two blocks from the US-Mexico border crossing in Andrade, California, you can easily walk your way and have your smile revamped without relying on local transportation. This further helps you cut costs. ADC is part of the largest dental group in the region. 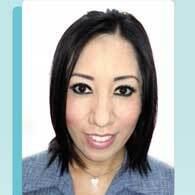 From a 2-chair dentist office, it has now flourished to a 30-plus strong dental group with multiple branches in Los Algodones, Baja California. Because of a surge in demand by new clients referred by past patients, the dental facility has developed an in-house laboratory to cut down dependence on third parties for quality material. The clinic is not more than 2 blocks from the US-Mexico border. Its proximity to the United States has a huge role to play in its endeavor to maintain high quality standards. The clinic receives more than 2,500 clients every year, bulk of whom are from the US and Canada. 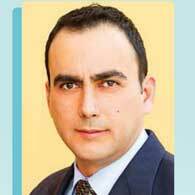 With the best team of dentists on board, the clinic provides excellent care. The clinic offers procedures, such as overdentures, All-on-6, and All-on-4 dental implants in Los Algodones at 70% lower than the US and Canada prices. Sample this - while Sinus Lift in Los Algodones begins from just $700, in the US the cost ranges between $1,500 and $2,500. The dental group has an up-scale Platinum branch which offers cutting edge treatments in a luxurious ambience. Does ADC offer any warranty? Yes, a two- to five-year warranty (terms and conditions apply). Replacement/reparation of full porcelain, zirconia and acrylic restorations fractured with routine usage within two years of placement at no extra cost. Replacement/reparation of full gold, metal prosthesis fractured with routine usage within five years of placement at no extra cost. Restoration of amalgam fillings fractured within four years of placement. Restoration of resin fillings fractured within two years of placement. 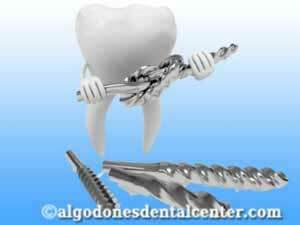 Repair/replacement in case of rejection of dental implant by the body within two years of the surgery. The amount paid for an initial root canal treatment (RCT) will be utilized as a deposit for fresh RCT in case it fails within two years. *Warranty does not cover damage to teeth and prosthetics resulting from mishap, trauma, improper care, chewing on hard items such as ice and clenching teeth. For more details contact us through the website quote form. Do you offer sleep/sedation dentistry? While we apply local anesthetics for treatments, we can also arrange for IV sedation or nitrous oxide for an extra price. 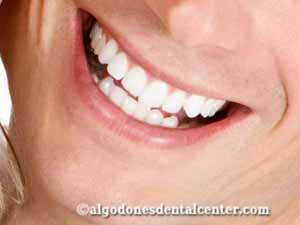 Why should I choose Los Algodones for dental work? *Prices may be changed without any prior notice. Get in touch with us for the latest price list. The border town is strategically located just a few miles west of Yuma, Arizona. Lower travel expenses translate to additional savings. Why is Dental Work in Mexico Cheaper? Watch this video in which a leading dental specialist in Los Algodones explains why dental work is cheaper in Mexico compared to the United States. I am not Spanish-speaking. Will I still be able to communicate with the staff? Yes, the clinic ensures a bilingual person (English-Spanish) is always present in the OT when the treatment process is underway. So language barriers are bare minimum. And this is not just inside the clinic. When out on the street too you can be sure of finding someone who knows English. This is because of the huge influx of dental tourists from the US and Canada. We accept cash (US dollars); major credit and debit cards; personal, traveler's, and cashier's checks; and wire transfers. What about safety in Los Algodones, Mexico? The border town is quite safe. Unlike some of the notorious Mexican border cities, Algodones is insulated from the drug cartel fuelled violence. The US Department of State website points out that the Mexican government has good systems in place for the protection of major tourist destinations and resorts of the country. The local economy is heavily dependent on thousands of seniors and snowbirds from the US and Canada who flock the town in winters for dental and medical treatments. According to the Mexicali Tourism and Conventions Committee nearly 3,000 border crossings can be attributed to dental and medical tourists every day. Hence, its residents work on providing a secure environment to its visitors. However, as an added measure be aware of your surroundings and always stay mindful. The US State Department advises exercising caution at night in the Mexican state of Baja California. Keep a low profile by not flashing around expensive jewelry or cash. If driving to other Mexican cities, make sure you drive only in the daylight hours and never take deserted roads; also use toll roads (locally known as 'cuotas'). For Mexico travel alerts and warnings issued by the US State Department, click here. What is the best time to visit? How is the weather in Los Algodones? The town has a desert climate and hence, most of the North Americans descend on it during the winter months from December to March. The dental clinics are chock-a-block during this time of the year. The average day temperature in January is 69 °F and goes up to 79 °F in March. Summers are usually less crowded as daytime temperature can exceed 100 °F from June to September. There are many interesting travel blogs giving insights into making the most out of a day trip to Los Algodones. Which documents do I need to enter Mexico? A valid passport/passport card is required to enter Mexico. An entry permit or Forma Migratoria Multiple (FMM) for traveling beyond the border zone (25 kilometers farther from the border crossing) is required. This can be obtained from Mexican consulates, border crossing points, tourism offices, airports within the border zone, and most airlines serving Mexico. No visa or tourist card is required for a stay less than 72 hours within the border zone. You will need to carry a Western Hemisphere Travel Initiative (WHTI) travel document such as your passport, passport-card, a Trusted Traveler Program card, or an Enhanced Driver’s License to re-enter the United States from Mexico. For more information, check the US Passports and International Travel website. What is the driving route to Algodones from Yuma, Arizona? The border town can be reached from Yuma by traveling west on the Interstate 8 (I-8) to the Andrade exit. Travel south on Route 186 (SR-186) for over 7 miles to reach the Andrade Port of Entry. The Andrade Port of Entry is open from 6:00 AM-10:00 PM (Pacific) seven days a week. How far is Yuma, Arizona from the Mexican border? The US-Mexico border crossing in Andrade, California is about 10.3 miles from Yuma. It stays open from 6:00 Am to 10:00 PM. People are known to park their cars in the US side of the parking lots and walk over to Los Algodones. I will be crossing over in my own car. Where can I park it? We have our own parking lot (not more than two blocks from the border at Alamo Street) where you can park your car for FREE. Please note that Mexican laws require the owner to drive the vehicle or at least be inside the vehicle. How can I reach the dental clinic from the border? Once you cross the Andrade Port of Entry walk straight about two blocks without taking any turns. You will find the clinic on the left at Alamo Street. The clinic is in a neighborhood deemed safe for pedestrians crossing into Mexico. Do I need to purchase Mexican auto insurance? Yes, Mexican auto insurance is mandatory, even for rental vehicles. It can be easily purchased from both sides of the border. The closest airport is the Yuma International Airport (IATA: YUM). Do you provide free pick-up? Yes, we provide free airport-hotel-clinic shuttle services (terms and conditions apply). What are the good options for hotels in Los Algodones, Mexico? Our clients get special discounts at Hacienda Hotel and Cielito Lindo, the only two hotels in the town. The two are not very far from the border as well as the clinic. Special tariffs begin from as low as $35 per night. For more information, contact us through the quote form on the website. What are my lodging options in Yuma, AZ? There are plenty of lodging options for those who do not wish to stay in the Mexican side of the border. Check out hotels for dental tourists in Yuma here. What to look out for while shopping in Los Algodones? The molar capital of the world is also home to a number of pharmacies and optical stores offering massive discounts on prescription medication and glasses. When buying regulated /controlled medications make sure you carry the prescription.You will also find a number of curio stores selling pottery, belts, souvenirs, and iron work. Check out the video here on shopping and bargaining for dental tourists. You could also sample some delicious Mexican cuisine before visiting the clinic. You will also find a number of eateries offering delicious tacos, tortillas, and tortas. Check out some of the recommended eating joints. Can I buy prescription drugs at Algodones pharmacies? The molar capital of the world is also home to a number of pharmacies and optical stores offering massive discounts on prescription medication and glasses. When buying regulated/controlled medications make sure you carry the prescription. You will be required to declare all items acquired in Mexico. Up to $800 is exempt on gifts and personal items (this also includes 1 liter of alcohol per person aged above 21 every month). There is a prohibition on Cuban cigars. Carrying illegal drugs can result in imposition of heavy fines, confiscation of vehicle, and/or even imprisonment. Non-declaration of agricultural items may invite a fine of $50 to $1,000. Less than ten miles west of Yuma, the border town offers treatments at just 70% of the average American prices. And ADC gives access to quality dental care along with a host of other services to help you have a hassle-free trip, such as assistance in arranging for travel documents and a dedicated case manager to have all your queries answered promptly. A well-trained dental implantologist practicing in Los Algodones. 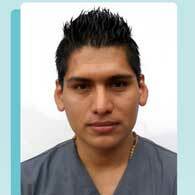 He is a member of Oral Implantology Mexican College since 2012. 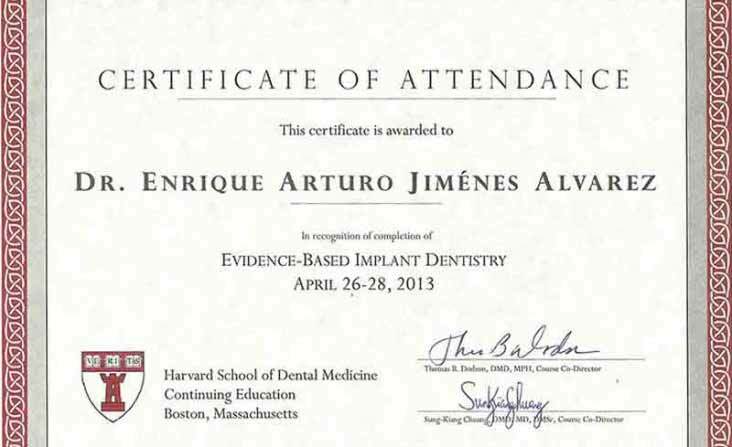 A well-experienced dental specialist with training in implant dentistry from the Harvard School of Dental Medicine. An edodontics specialist who has undergone rigorous training and who continues to upgrade and knowledge and skills by attending courses and seminars. 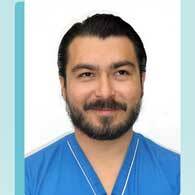 A highly experienced Mexican prosthodontist in Los Algodones with training from California, Spain and Italy. 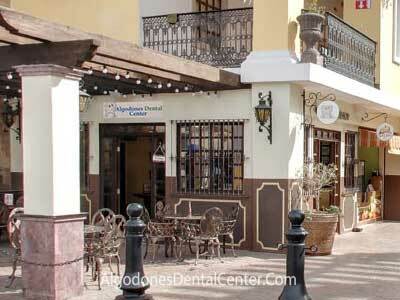 Have a look at some of the dental treatments we offer in Algodones, Mexico. This is just an indicative list of some of the procedures we facilitate. Contact us through the quote-form on the website for more details. A prerequisite for dental implants is having enough jaw bone to support them. A bone graft procedure may be required in edentulous patients who do not have enough bone necessary for supporting and osseointegration of the implant. The procedure involves replacing missing bone with bone taken either from the chin or the pelvic region. Alternatively known as endodontic therapy, root canal treatment (RCT) is for removal of infected dental pulp and for protecting the disinfected tooth from further microbial attacks. 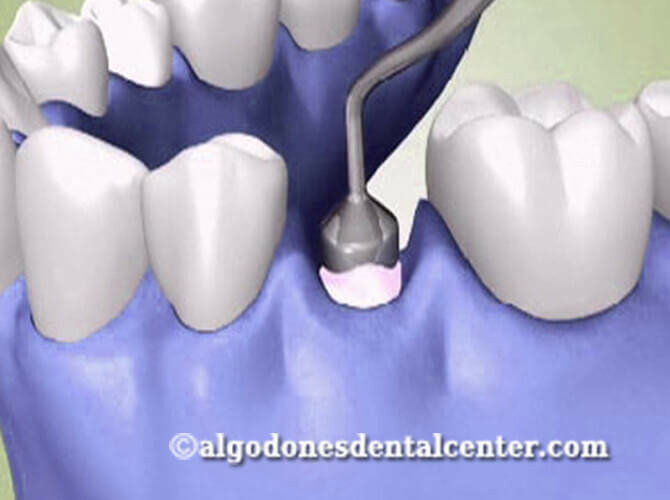 The dentist digs into the part of the tooth which contains pulp, and removes infected pulp. The cavity is then filled with an inert substance and is sealed up. These are an effective solution for missing teeth and act as artificial tooth roots that provide a strong base for permanent or removable replacement teeth. 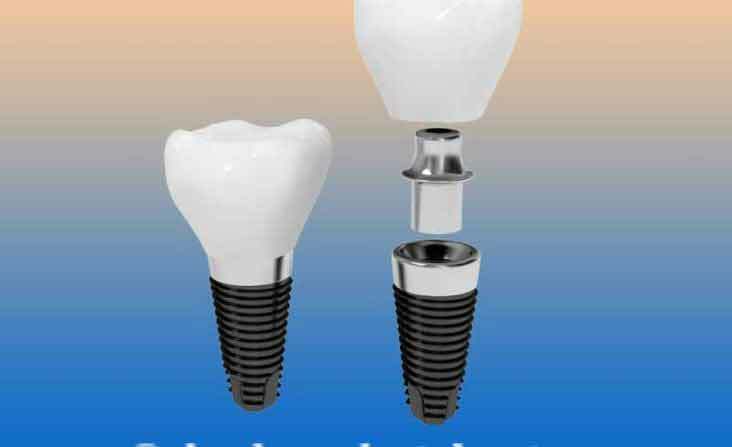 Some of the dental implant types are titanium implants, implant supported overdentures, All-on-4 implants, All-on-6 and All-on-8 implants. 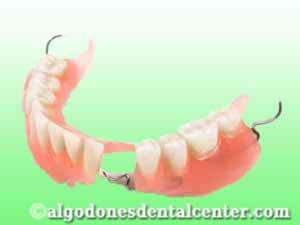 A denture is a prosthetic that replaces missing teeth and surrounding tissue. While full dentures are used when a person loses all the teeth, partial dentures are helpful when some of the natural teeth remain. While immediate dentures can be used place immediately on tooth removal, conventional dentures are placed after the healing of gums. Also, known as laser dental bleaching, laser teeth whitening is a popular in-office procedure for getting rid of discolored teeth. The procedure involves application of a peroxide bleaching solution which is activated by laser. This in turn makes your teeth whiter. 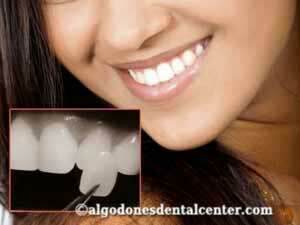 Teeth whitening is one of the most popular cosmetic dental procedures. 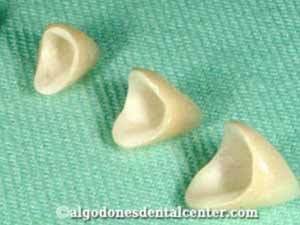 Dental crown is a tooth-resembling cap that covers worn down or discolored tooth. It may also be used to keep a decaying tooth from getting damaged further. Crowns come in a variety of material. Some of the common types of dental crowns are full porcelain crowns, ceramic crowns, zirconia crowns, and Porcelain-fused-to-metal crowns. Alternatively known as porcelain laminates, dental veneers are thin shell-like coverings that get bonded onto the tooth surface and mask discoloration, damage, decay or misalignment of the tooth. These may also be used to correct gaps in teeth. Veneers made of porcelain have the ability to reflect light just like natural teeth. Learn about the dental specialists we work with and go through our latest videos, image galleries and informative posts. 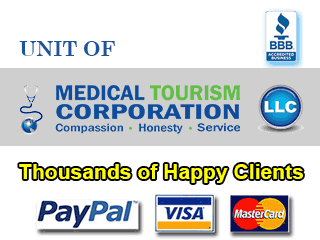 We have helped thousands of dental tourists in their smile journey. Take a look at what some of our happy and satisfied clients are saying about their experience.